Let's get ready to rumble. MTV has announced that they're bringing back Celebrity Deathmatch with Ice Cube set to star in and produce the revival. This isn't the first we've heard of the violent and hilarious claymation series coming back, as MTV2 had previously announced a reboot in 2015 that got a pilot. However, the network didn't pick it up to series. This time around, it sounds as though things are a bit more serious. Not only is Celebrity Deathmatch bringing back all of its celebrity on celebrity claymation carnage for the small screen, but MTV also intends to expand the franchise to products, video games and even theatrical releases. That is, assuming this series reboot is received well. But it's hard to imagine anyone will have a hard time getting into the idea of this cult classic making a return. Chris McCarthy, President of MTV, VH1 and CMT had this to say in a statement. "We're excited to grow our partnership with Ice Cube and Cube Vision to reimagine this fan favorite. Deathmatch was the meme before memes, remains a hot topic on social media and will be a smart, funny way to tackle the over-the-top rhetoric of today's pop culture where it belongs, in the wrestling ring." Ice Cube is also producing Hip Hop Squares for MTV as well. The original Celebrity Deathmatch had a very simple premise. 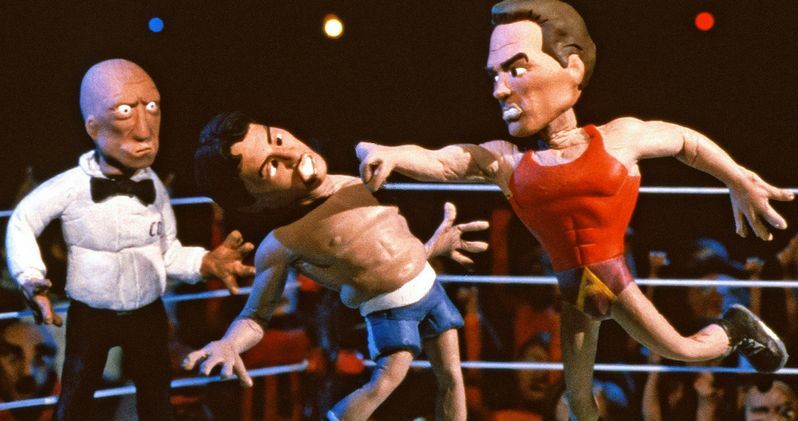 Celebrities from all walks of life, ranging from big-name movie stars, to politicians, and even the Loch Ness Monster, would step into the ring and fight it out, with commentators taking us through the claymation carnage. It's a formula that probably doesn't need to be tweaked too much to suit the modern landscape. Ice Cube has this to say in a statement. "Happy to once again be working with Viacom and MTV on a fan favorite like Celebrity Deathmatch and to continue our success together." MTV Studios was launched by the company in June and much of their mission has been reviving classics from their catalog. In addition to Celebrity Deathmatch, they have new takes on Daria, Made, a live-actionAeon Flux and The Real World in the works. These projects are largely being made for digital and streaming platforms and this latest revival is no different. MTV will shop the project around to streaming services and premium cable networks next year. Celebrity Deathmatch originally ran from 1998 to 2002, running for 75 episodes. A two-season revival aired on MTV2 starting in 2006, but that ended in 2007. With many streaming services, such as next year's WarnerMedia service, Hulu, Amazon, Apple, Disney+ and even Facebook looking for content, this revival should have no trouble finding a home. Though, Disney certainly seems to be off the table, given the violent nature of the series. At the present time, there's no indication as to where the Celebrity Deathmatch revival will ultimately land, but we'll be sure to keep you posted as MTV provides any additional updates on the project.